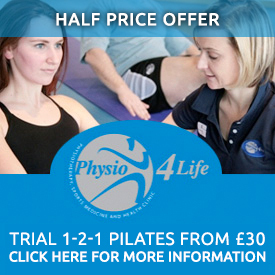 Phyio4Life is number 1 for pregnancy massage Putney. Welcome to Physio4Life for pregnancy massage PutneySW15, we are a friendly collection of massage therapists who specialize in masage for pregnant women. Pregnancy massage can help with post and pre natal pregnancy pain. Get in touc with our massage therapists here in London for more details. Pregnancy massage or Pre-natal massage is massage therapy tailored around the health and wellbeing of the mother and child prior to birth. Our team of pregnancy massage therapists have years of experience in providing massage therapy for pregnancy. Profound physiologic, functional, emotional, relational, and lifestyle changes occur during gestation and labor, often creating high stress levels. Too much stress can negatively affect maternal and infant health, resulting in reduced uterine blood supply and higher incidence of miscarriage, prematurity, and other complications. Massage therapy can help a woman approach her due date with less anxiety as well as less physical discomfort. Even apart from easing specific aches, massage can act as an overall tonic and increase the expectant mother’s body awareness. Pregnancy Massage therapy can address the various physical challenges of pregnancy: edema; foot, leg, or hand discomforts; and pain in the lower back, pelvis, or hips. Swedish massage may facilitate gestation by supporting cardiac function, placental and mammary development, and increasing cellular respiration. It can also reduce edema and high blood pressure as well as contribute to sympathetic nervous system sedation. Deep tissue, trigger point, and both active and passive movements alleviate stress on weight-bearing joints, muscles, and fascial tissues to reduce neck and back pain caused by poor posture and strain on the uterine ligaments. During labor, women whose partners use basic massage strokes on their backs and legs have shorter, less complicated labors. After the baby’s birth, massage therapy can gently facilitate the body’s return to its pre-pregnancy state, alleviate pain, foster a renewed sense of body and self, and help maintain flexibility despite the physical stresses of infant care. For post-Caesarean mothers, specific therapeutic techniques can also reduce scar tissue formation and facilitate the healing of the incision and related soft tissue areas. 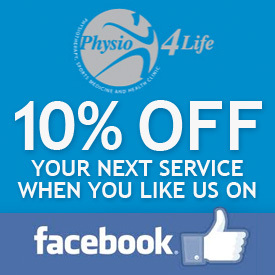 Pregnancy massage at Physio4Life focuses on the specialized needs of a mothers and mothers to be. It can help to reduce anxiety, reduce back and joint pain as well as improving circulation and reducing swelling. Although pregnancy (prenatal) massage has never been associated with an increased risk of miscarriage within the first trimester, the standard practice here at Physio4life is to ensure our clients are at least 14weeks pregnant before attending a pregnancy massage. If you are within your first trimester and still wish to have a pregnancy massage Physio4Life will request that a disclaimer be signed prior to the massage session. 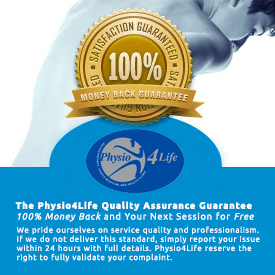 For postnatal massages, Physio4Life requires new mothers to attend their 6week check up with their GP confirming there are no complications, prior to attending any massage sessions. Please call us for further information and advice.